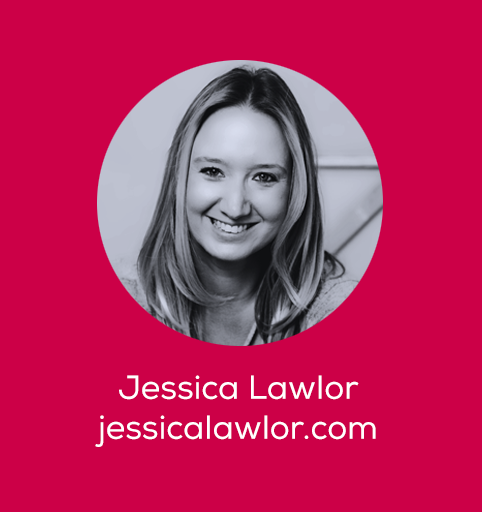 Jessica Lawlor lives and breathes all things PR, marketing, and personal branding. Through her communications consulting business JL&Co, she’s worked with clients on content strategy and media placement. She’s an email enthusiast and offered some tips on how email can be used to enhance your personal brand. Walk us through your daily email routine. While I wish I could tell you I’m one of those disciplined people I admire who only check email at certain times of the day, unfortunately, that’s not me. However, I love email! I know email can often be a list of other people’s requests for your time, energy and knowledge, but I look at opening each new email as an opportunity. To me, my inbox is full of possibility — new client inquiries, speaking invitations, blog comments, newsletter replies, useful resources from other bloggers and business owners. Because I run my own communications consulting business, I have multiple email accounts: my personal email, business email, university email for my role as an adjunct instructor and two client email accounts. I check my email multiple times a day, often toggling between the five accounts. It can get a little overwhelming, but I enjoy switching between multiple “roles” throughout my work day. It keeps things interesting! I always keep my personal and business email account open (one on a Safari tab and the other on Chrome), and then check the three other accounts throughout the day as needed when I’m working on something for that particular client or role. I’m a huge fan of Gmail’s filter email + skip the inbox function. For example, I love newsletters. I subscribe to a bunch, and enjoy the updates, but I realized that my inbox was FULL of emails that weren’t critical to my life, career or business at that very moment. Those emails were making it difficult to see what actually needed replying to and what could wait. I started filtering these emails to a certain folder and have them skip the inbox completely (easily done through Gmail!). All newsletters go to my “E-Newsletter” folder. As someone who juggles different clients, how do you manage multiple inboxes without going crazy? Each of my inboxes has a very specific purpose, and I check them at times that make sense in my work day. For example, while I have my personal email account open all day, I rarely need to check it during the work day because nothing important work-wise will come through to that inbox. And while I have dedicated email accounts for two different clients, I only need to be in those inboxes when I’m working on that particular client account. Five inboxes sounds like a lot, but I primarily spend my days in just two or three of the accounts at any given time. Even though I’m a self-proclaimed email fan, I do recognize that email can overwhelm and take me away from important tasks, so I do set some boundaries around checking email. I used to be guilty of immediately checking email as soon as I woke up, but I’ve done a good job lately of not checking email in bed — I realize that nothing good comes from starting my day in that manner. I also am pretty good about not checking email in the evenings — as a business owner, it can be tempting to work around the clock, but I really do try to disconnect for a few hours each night to give my brain some space. Something else that has really helped is using the Gmail app, rather than setting up all of my email accounts through my iPhone’s mail function. This way, I’m not tempted by notifications, and only check email when I choose to click into the app. What are some ways to leverage email as a personal branding opportunity? Use your email signature to the fullest. I use my email signature as an opportunity to direct traffic to my website, blog and social channels. That sounds like a lot of links (and it is), but it’s designed in a way that makes it easy to find the link you might be most interested in. 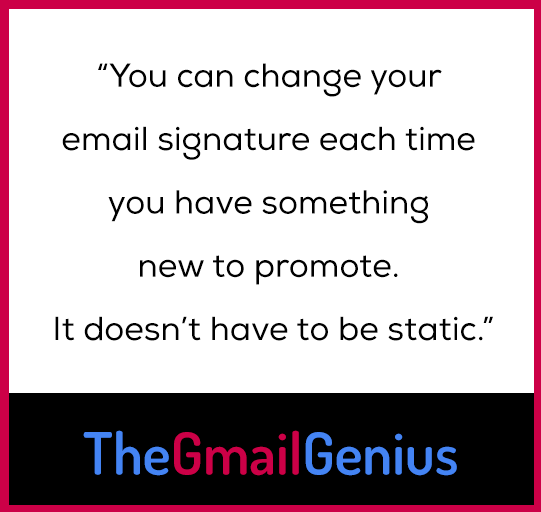 You can also change your email signature each time you have something new to promote. Think of it as something that’s ever-changing, rather than a static email signature. Going on vacation or heading out of the office for a few days? Your out of office autoresponder is an amazing tool for personal branding! Instead of the standard, “I will be out of the office until X date”, don’t be afraid to get a little more creative and personal. Here’s an example from when I recently visited the UK for the Philadelphia Eagles game. You’ll notice I sprinkle in a little bit of personality by sharing where I’m going (I realize this won’t always be appropriate) and a bit about my favorite team. I also use my out of office message as an opportunity to drive traffic back to my website — in this case, two recent blog posts. I’ve gotten a lot of positive feedback about my out of office messages! I’ll slow to respond to email through Monday, November 5 as I’ll be traveling throughout the UK (Go Eagles!). -A typical day in my life as a business owner. -The three reasons I knew it was time to start my business. Can’t wait to chat with you when I return!